LK 110 SmartComfort is an electronic weather compensated temperature controller for radiator and underfloor heating systems. 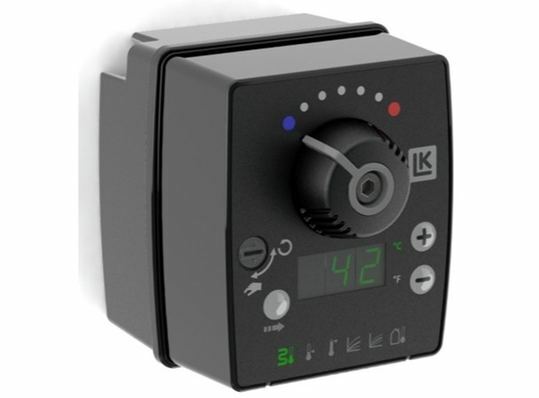 By measuring the supply and outdoor temperatures the LK 110 SmartComfort controls the mixing valve so as to provide the system with the exact amount of heat required in the building at any one time. The current supply and outdoor temperatures can be seen on the controller display.